Yamaha YBS-52 Intermediate Baritone SaxophoneThe Yamaha YBS-52 baritone saxophone is the most requested baritone by schools nationwide. Email dreitan@hfsauburn.com if you want to buy this instrument for Holy Family School or if you would like to help! Incoming 5th Grade Students! (And beginners in 6th, 7th or 8th) 2019-2020 School Year! Get a head start with your new band instrument and come to BAND CAMP! Only $60 for 5 days of exploration and instruction! When? AUGUST 19, 20, 21: 5pm - 7pm Includes pizza dinner! For grades 6,7,8. Students must have at least one year of school band playing experience on the instrument to participate. 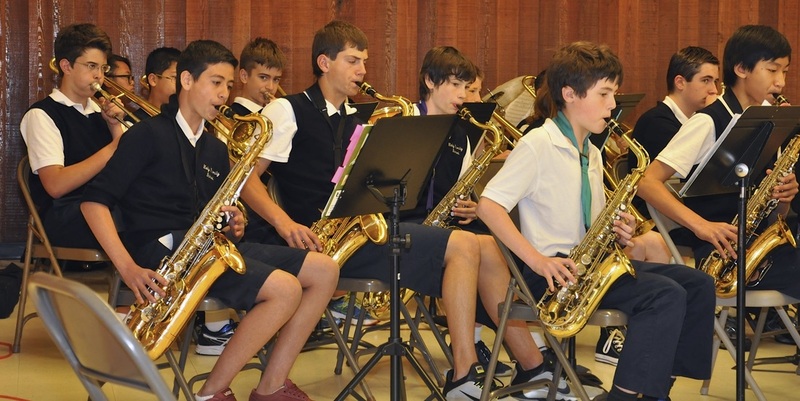 All camp fees support the maintenance and additions of the HFS band instrument lending library and band music library. 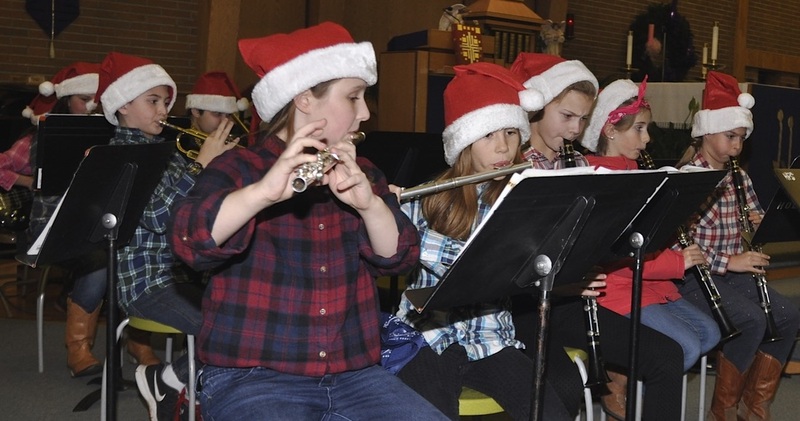 Families must obtain an instrument for student to use for 5th grade. OPTIONS: Borrow an HFS band instrument (flute, clarinet, trumpet or trombone) $30 covers the entire school year! HFS band instruments are worn but are in well maintained, working condition. Rent a "like new" instrument from B-Natural Music in Bonney Lake, or Ted Brown Music. (multiple locations). Rental fee is paid monthly via credit card. Monthly fee ranges from $15 to $30 a month depending on the instrument and if it used or new. Most of the rental payment is applied to purchase. The rental fee also covers replacing the instrument if it needs a repair during the rental period. Students who want to play electric bass guitar must purchase their own bass guitar, with a case. Bass guitar students will also need to purchase a small practice bass amplifier to keep at home for practice. B-Natural Music, Ted Brown Music and Guitar Center are all excellent places to purchase a guitar. Student should try holding the bass guitar in the store to be sure the instrument is a comfortable size. ARE YOU THINKING OF PURCHASING A NEW INSTRUMENT? There are many low cost instruments that are not suitable for student musicians. If you are considering purchasing a new instrument .. please email dreitan@hfsauburn.com before you purchase! An instrument purchased through Amazon, Ebay, Musician's Friend or Brass and Woodwind internet sites can be an excellent choice.. but ask for advice about the brand of instrument to purchase. Music instruments are expensive. Low cost new instruments generally become unplayable before the year is through. 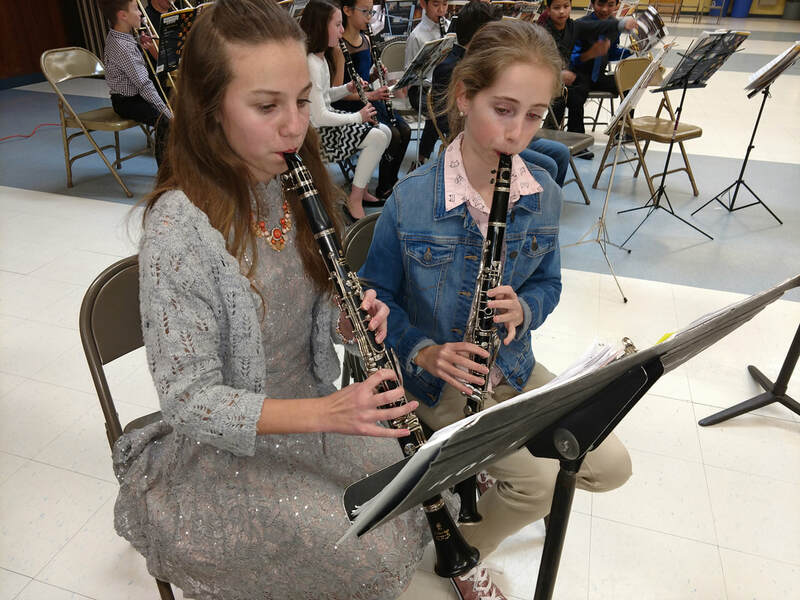 Do you have a family instrument that your student can use? Take it to a music store and have it cleaned up and checked over before school begins. B Natural Music in Bonney Lake is our school instrument repair center. Or, check with your own neighborhood music store. 1. Essential Elements 2000 Beginning Band Book, for the instrument the student will be playing. (These can also be purchased through HFS at a small discount). 2. CLARINETS: Rico brand clarinet reeds size 2.0 (these can be purchased on Amazon and at music stores). Purchase one large box, it will last for the entire year. 3. TRUMPETS AND TROMBONES: Slide/valve oil (Blue Juice brand is great and can be purchased on Amazon). 5. BASS GUITAR: Guitar that will be comfortable for student to hold. Soft case for carrying. Small practice amp for at home practice. Sturdy Guitar to Amp cord. Bass Guitar (Snark brand) tuner. for 6th, 7th and 8th grade. 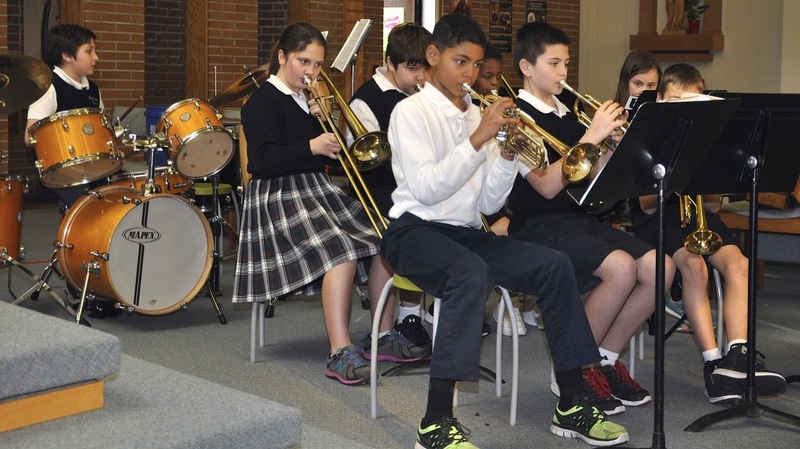 Holy Family School maintains a band instrument lending library. 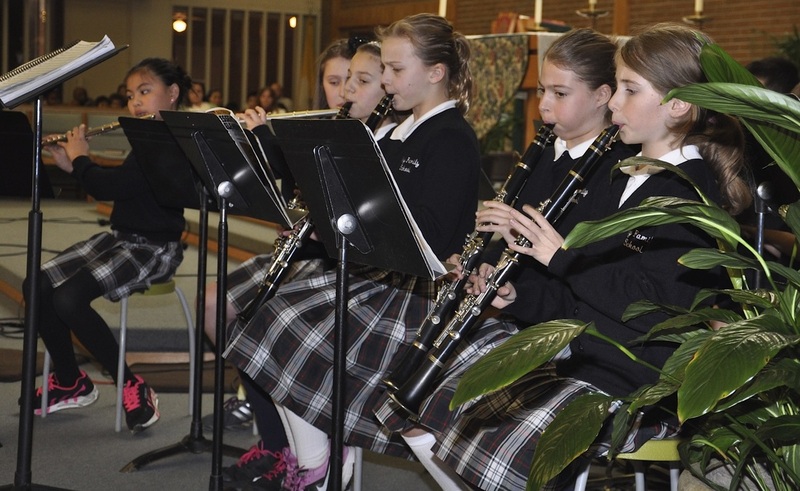 A small annual fee ensures a clarinet, flute, trumpet, trombone or saxophone for any student interested in borrowing an instrument to play in band, while enrolled at HFS.